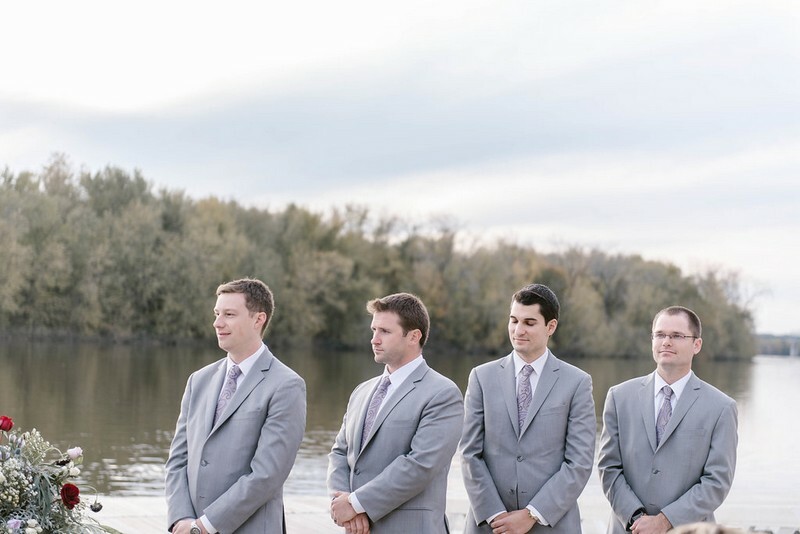 This past fall, Lauren and Evan married at the beautiful Glastonbury Boathouse in Glastonbury, CT. This swoon-worthy wedding had a soft and romantic feel on the quiet waterfront that any couple would love! We asked Lauren a few questions about their big day and the planning process. 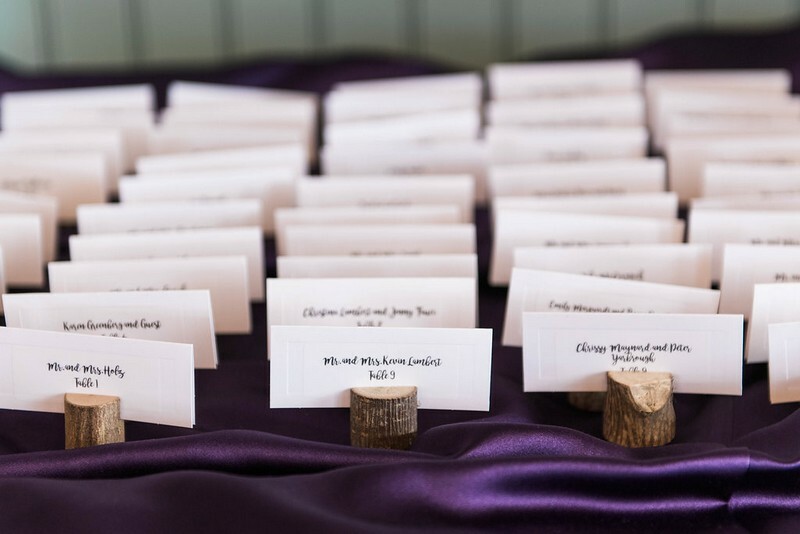 Where did you get your inspiration for your wedding? : I wanted our wedding to be a reflection of us. I got my dress pretty early on and based a lot of things on that. I wanted it to be really romantic and soft. What area of your wedding did the bulk of your budget go to? : The catering and photographer were our biggest expenses, but we were lucky enough to have our parents help us out. Was there any part of your wedding day that wasn’t worth the cost? : I bought me and my bridesmaids robes to get ready in that none of us wound up wearing because we were hot in the hotel room getting hair and makeup done. Other than that, I tried really hard not to make frivolous purchases. Did you hire a wedding planner? If so, how did they help? : I did not hire a wedding planner. I'm a music teacher, so I'm used to planning and organizing things myself. What is your best advice for future brides and grooms on their big day? : Keep it about you and your partner. Don't let other people's opinions bother you or deter you from the choices you want to make. It's YOUR wedding, not theirs. Also, it's easy to get caught up and stressed out about every little detail. People won't remember what color the napkins were. They're going to remember the love in the room and the open bar. What moment do you cherish the most about your wedding day? : Our ceremony was amazing. My husband's sister performed it for us and made it so personal. If that wasn't enough, a bunch of our musician friends surprised us with a choral performance of "This Marriage" by Eric Whitacre before we processed out. It was so special.